Audioboom / NI's top tourist destinations - where would you take visitors for a good day out? NI's top tourist destinations - where would you take visitors for a good day out? Here's a question - if you have relatives or friends staying with you. But if they're staying with you - where do you take them in Northern Ireland? Where are the best spots to show this place off and give them a good day out? We're asking this because Belfast is back in the headlines for more tourism success. This year, Belfast port will host a record 89 cruise ships. 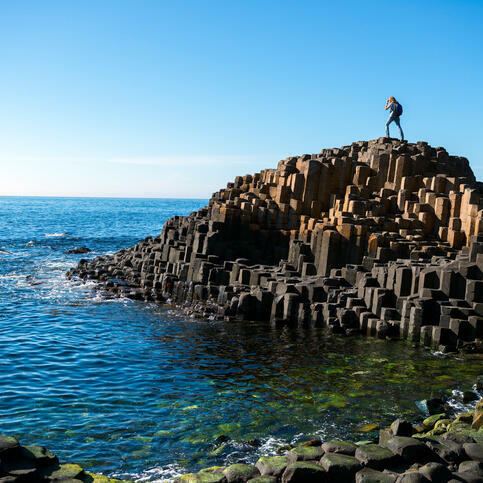 Four locations here have been listed are popular with cruise ship visitors - Titanic Belfast, Giants Causeway, Hillsborough Castle and Mount Stewart. Would they be on your list? Commentators Andrea McVeigh and Basil McCrea discuss.